A long time favourite summer vacation destination for Argentines and Brazilians, Uruguay is becoming increasingly popular on the South America backpacking route. We wanted to find out for ourselves what all the fuss was about. So we jumped on a boat from Argentina, hired a car and took a month to explore all the best places to visit in Uruguay. Once a no abit of a no mans land amongst colonising countries who saw no value in it. Today Uruguay has one of the most prosperous and stable economies in all of South America. And that’s not the only difference between Uruguay and the rest of the continent. It is also the most progressive, having legalized abortion, gay marriage and personal cannabis use. Despite having plenty in common with it’s mate clutching and tango loving neighbour of Argentina, Uruguay has its own distinct culture going on. And from it’s seriously cool capital city to it’s wild beaches and deeply traditional small towns, it varies vastly. If you’re a keen and curious traveller, a trip to Uruguay simply has to be on the cards. As I mentioned above, we hired a car to get us around most places in Uruguay. However all the uruguay attractions that we will be mentioning, can also be reached easily by bus. 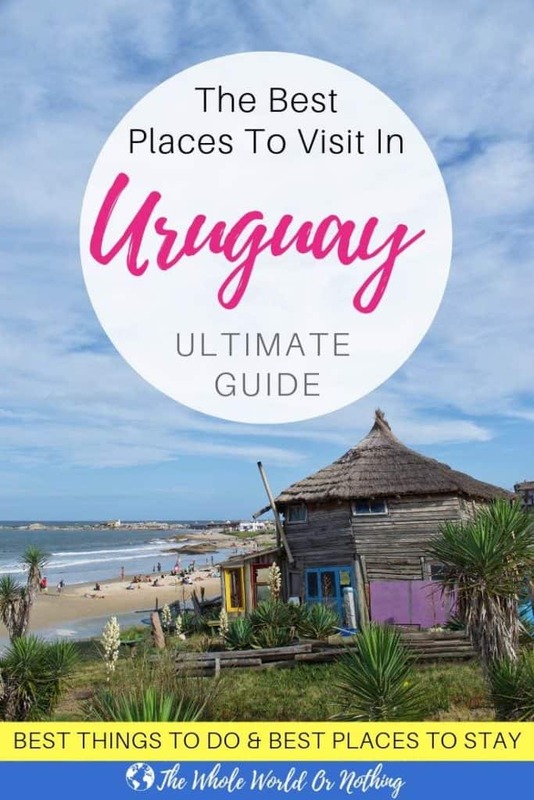 Here’s what to do in Uruguay, plus recommendations for where to stay and lots of useful travel information to help you plan your trip to Uruguay. If you are arriving in Uruguay by plane, your first stop will likely be the capital city. 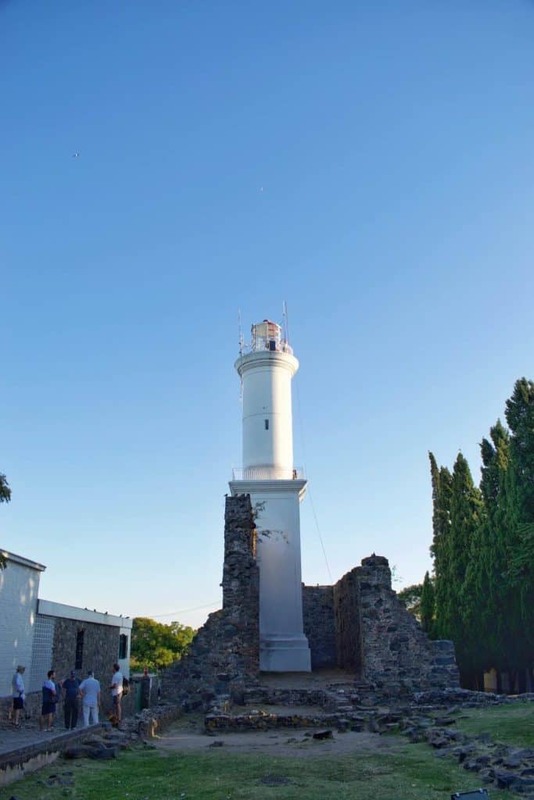 If you are travelling by boat from Argentina, you’ll either be landing here or in the other port town of Colonia del Sacramento. Either way you’ll want to plan at least a couple of days into your Uruguay itinerary to explore Montevideo. It’s not huge, but being that more than half of the countries population live in Montevideo, there are certainly plenty of things to do in Uruguay here. 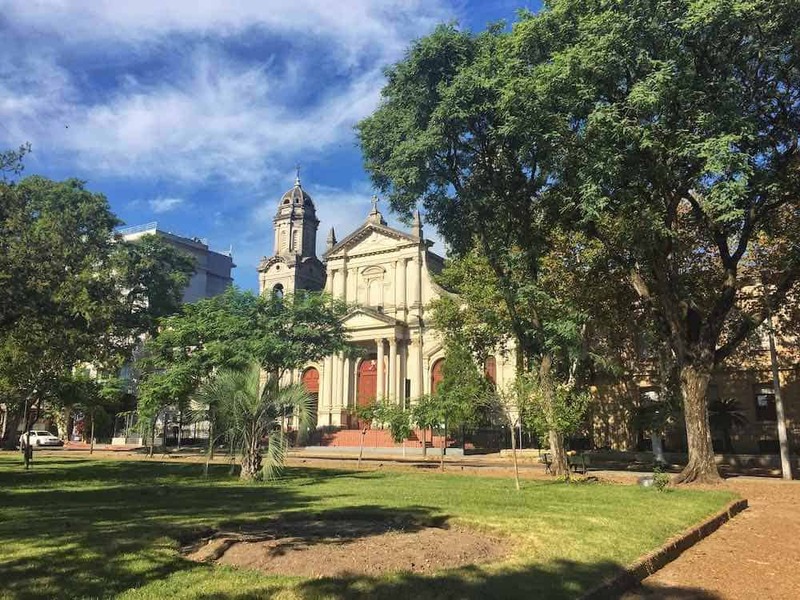 We were actually based here for a couple of weeks and so have some much more extensive travel guides on Montevideo, but here’s the highlights of the first of our best places to visit in Uruguay. 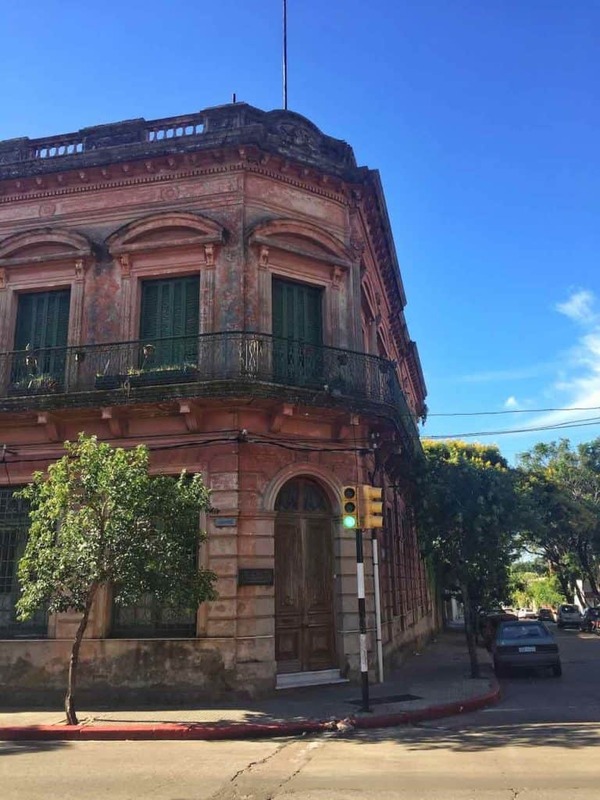 Uruguay has a rather complicated history and there’s no better way to learn about it than whilst walking its streets with a local resident. The Curioso Free Walking Tour that we did was not only super informative but also seriously entertaining. They have 3 different ones so you can choose one to best suit your specific interests. More than an art gallery, the Contemporary Art Space is set inside a former derelict prison and the building itself is as fascinating as the artwork. Retaining its original structure, each cell displays the work of a different artist. It’s free to visit. And don’t miss walking around the outside walls which are full of awesome street art too. The most important square in Montevideo, it’s where the president of Uruguay works. At the centre you will find a statue of revered General Artigas. He kicked off the revolution that ultimately lead to Uruguay’s independence. His mausoleum is located underneath. You can visit it for free. Don’t miss the pretty Palacio Salvo building and nearby Teatre Solis. A central and well used hangout spot, Parque Rodó is one of the greenest areas of the city. If your feet are tired from exploring, head here and chill under the shade of the huge palm trees. Or take to the water on a peddle boat. There’s a huge market here on a Sunday too, selling everything from fruit and veg to clothes and mate cups. 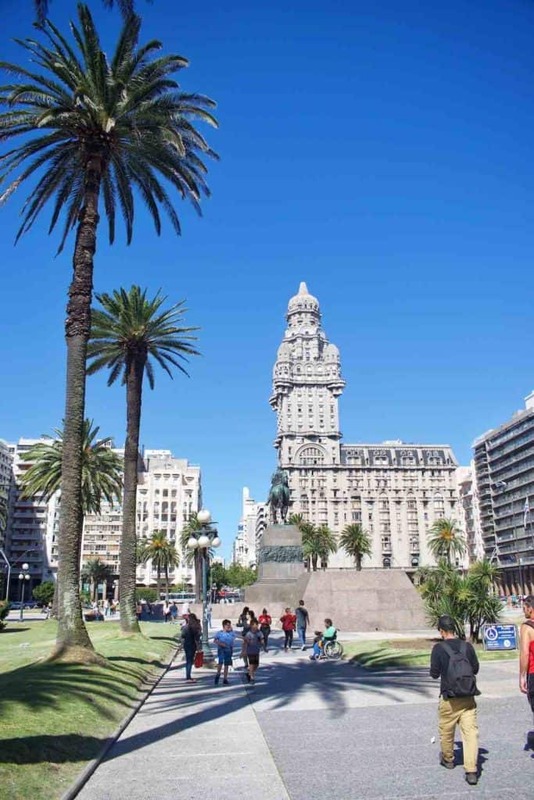 Another popular thing to do in Montevideo is to take a walk along the massive rambla. It’s over 22km in length, making it the longest continuous sidewalk in the world. You may not want to walk it all! There’s also some pretty nice beaches. The most central ones are Playa Rameriz, right next to Parque Rodoó, or a little further along Playa Pocitos. 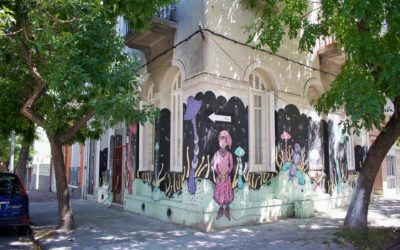 This colorful and friendly hostel comes with a terrace, a garden, a shared lounge, wifi access and seriously great backpacker reviews. It is centrally located in the neighbourhood of Cordón. The rooms are air conditioned and a continental breakfast is included in the price. Spacious rooms come with wifi, tv and air conditioning as standard. There’s a panoramic rooftop complete with an outdoor pool and stylish bar offering spectacular views over the Ciudad Vieja. Plus free parking and an onsite restaurant serving an a la carte breakfast. If your after some serious indulgence, you won’t get better than most prestigious hotel in Montevideo. Guests enjoy celebrity treatment with world-class service. There’s exclusive spa facilities, both indoor and outdoor swimming pools and it’s just 5 minutes from the airport. Punta del Este is Uruguay’s most popular beach resort. And while it’s VIP party and glamour scene may not be up our street, it’s not hard to see the appeal if that’s your thing. The beaches are gorgeous and nightlife is unrivalled. Despite the obvious development, there is also plenty of opportunity to get out into nature too. You can’t go to Punta del Este without taking a stroll along the wooden promenade. During the day it’s a more relaxed affair but come nightfall, the whole area turns into party. You can also take boat trips from here to go and visit sea lion island and go whale spotting. 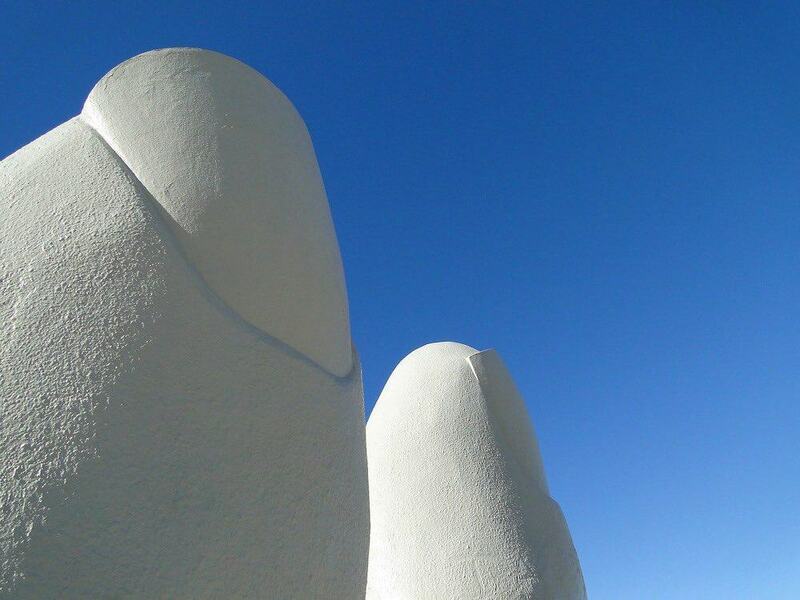 Synonymous with almost any Uruguay travel guide, the famous hand reaching out of the sand on Brava beach consistently ranks high amongst the best places to visit in Uruguay. Although you’ll have to be up early in the summer if you want a photograph without other people in it. Designed to resemble waves, this undulating structure resembles a rollercoaster if you drive over it in a vehicle. 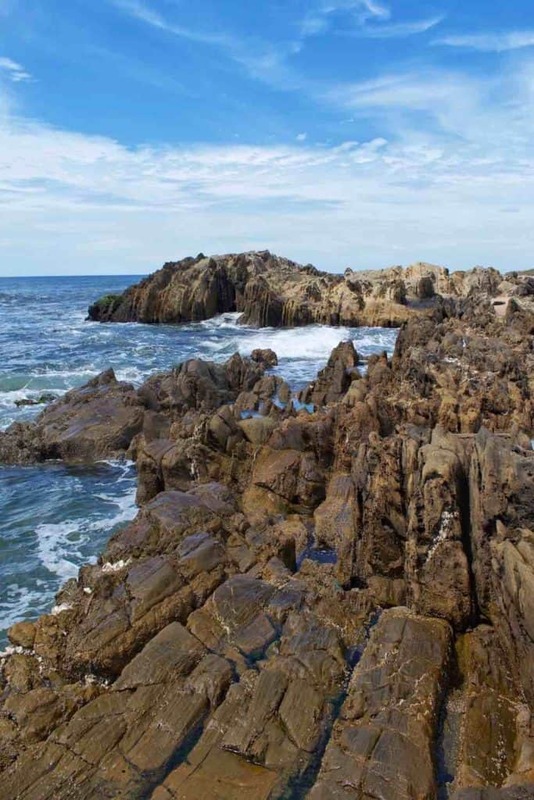 This part of Punta del Este is all about the waves with two of the most popular beaches for surfing here, La Posta del Cangrejo and Montoya. Another of Punta del Estes favourite beaches, if you’re after some epic sunset views while enjoying a meal at the best restaurants in town, this is where it is at. The playground of the Brazilian millionaire’s and Argentina’s high end society, you better get your glad rags on. Located smack bang in the heart of Punta del Este, this hostel is just a few hundred yards from the bus station and the coastline. There’s WiFi and a daily homemade breakfast. Rooms are air conditioned, there’s plenty of communal chill out areas plus a bar on the wooden deck. Right next to Emir Beach and close to the Craft Fair, this hotel has a great location. Wi-Fi and air conditioning and breakfast is provided as standard. And large windows make the rooms lovely and bright. There’s a garden with a pool and a charming shaded terrace to relax on. Located a short walk from Brava beach this stunner of a hotel features gorgeous tranquil gardens and super stylish rooms. There’s an outdoor swimming pool, a gym, and guests can either enjoy a sumptuous breakfast at the restaurant or have it brought to them in bed. One of a number of seaside towns in the department of Rocha, the eastern part of Uruguay’s coastline is the most beautiful. We only stayed in La Pedrera for the one night, but wish we’d have booked longer. The town is busy enough to have a good selection of bars and restaurants. But the beaches are so vast you won’t struggle for a secluded sunbathing spot. Intermingled amongst the sand, the ancient rock formations on La Pedrera beaches make excellent natural jacuzzis. Grab yourself a spot in one of the pools and get your relax on. The waves get wilder further along the beaches but make excellent surf spots. Only separated from the sea by a sandbar, salt water waves regularly make their way into this uniquely biodiverse lagoon. Recently designated a protected nature reserve, lots of migratory bird species use Laguna Rocha, including the endangered Chilean Flamingo. A strange little landscape, we came across this by complete chance. 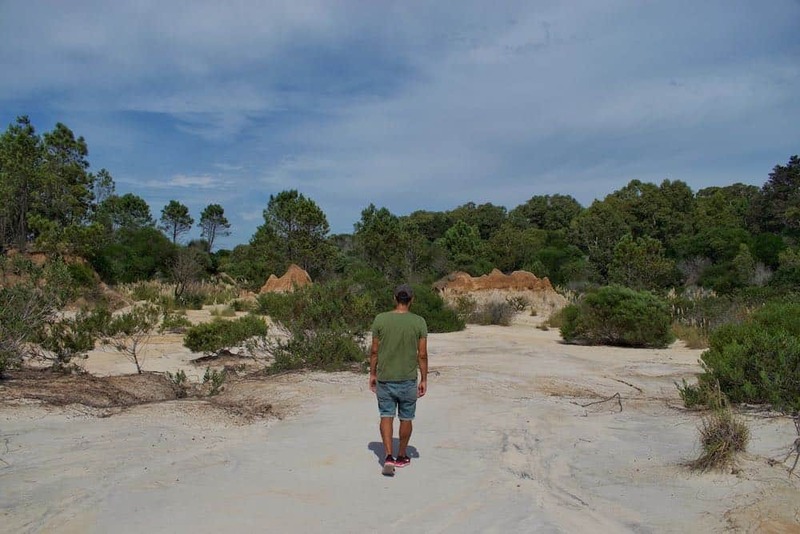 You’ll need to head up past Punta Rubia and take one of the dirt tracks off the main road that head down to Playa Santa Isabel. We think it’s an old dried up river bed but you really could be on the moon. Close to both El Desplayado and El Barco beaches, a stay at this place comes complete with sea views. There’s a garden with BBQ facilities, a common kitchen and reading room. Rooms have private lockers, WIFI access and the shared bathroom facilities have hot water. Really close to the beach and a short walk or bike ride into La Pedrera town, this place has a great location. The rooms have balconies overlooking the beautiful private gardens. With WIFI, private parking and a fresh breakfast included as standard. Located just one black from the main street, hese self-catering apartments includes barbecue facilities and balcony views over the garden or outdoor pool. Guests can enjoy the spa and wellness centre, including a hot tub and a sauna. Private parking is also available. At the opposite end of the spectrum to glitzy Punta del Este are the wild sand dunes of Cabo Polonio. Cut off from mainstream access by a protected national park, you’ll need to jump onboard one of the licensed jeeps to get in. There are no roads, no running water and after sundown you’ll need a torch to find your way around. It’s mad and weird and we loved it. Other than to the lighthouse, there is no mains electricity in Cabo Polonio. The odd solar panel and generator produce some power. But after dark the only real light you’ll have to work with is from the campfires and insane amount of stars you’ll be able to see in the night sky. 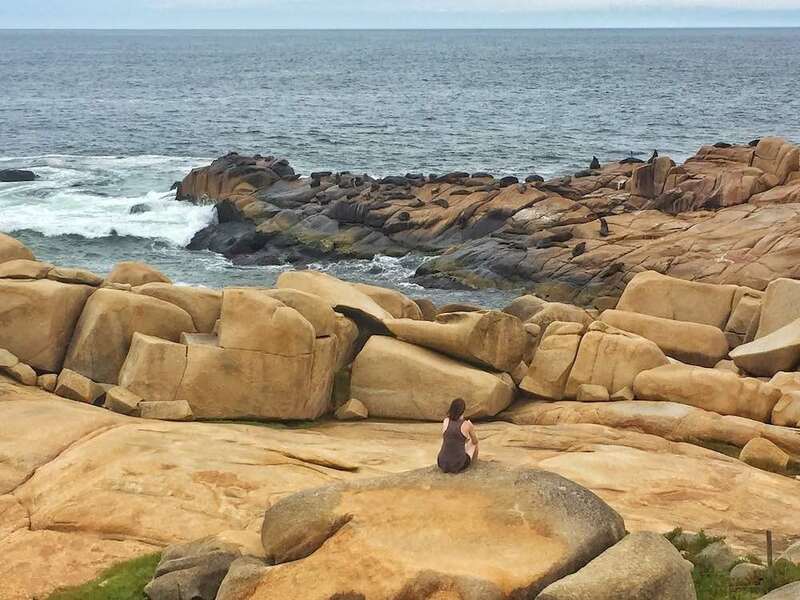 Home to two huge sea lion colonies, head out to the tip of Cabo Polonio and you’ll soon hear the barking. They are fascinating to watch. But that’s not all we saw while in Cabo Polonio, we also clapped eyes on what we were adamant was a killer whale bobbing around in the bay! A significant part of history, the lighthouse in Cabo Polonio was once also a school. Founded to teach isolated fishermen children how to read and write. These days tourists can climb up to see the views over the bay. It costs $30 UYU and is open 10am – 1pm then 3pm – sunset. Another interesting thing to do in Cabo Polonio is to simply wander around and take in all the usual structures. Outside of tourist season there is still a population of around 90 people who live here. So do be mindful and respect that many buildings are people’s actual homes. Centrally located, brightly decorated dorm rooms with sea views. There’s a communal kitchen and BBQ area with plenty of space to relax and make friends. Wifi is turned on for one hour per day, there is some solar power to charge the odd device and the showers have hot water. Still very rustic in design, this place has some bigger private rooms with balconies. 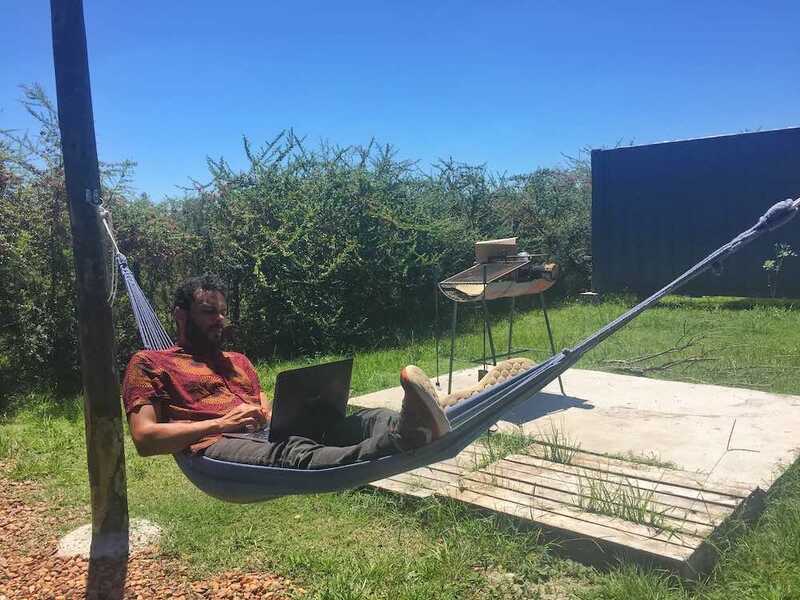 Like much of the accommodation in Cabo Polonio there is a very communal vibe going on with shared meals and evening campfire gatherings on the beach. Wifi and power is available, but limited. For luxury accomodation in Cabo Polonio renting an apartment is the best option. This place is stunning, you’ll see from the photos. Electricity is available, there is a refrigerator and hot water runs off gas. Plus a lovely garden with sea views. Perfect for couples or a group. An alternative to a wilder stay in Cabo Polonio, the small beach town of Barra de Valizas is a little more developed. By that I mean it was electricity and wifi as standard. But just because it has street lights, doesn’t mean that it hasn’t got a very rustic feel to it. Still expect dirt roads, wooden beach shacks and a bohemian vibe. 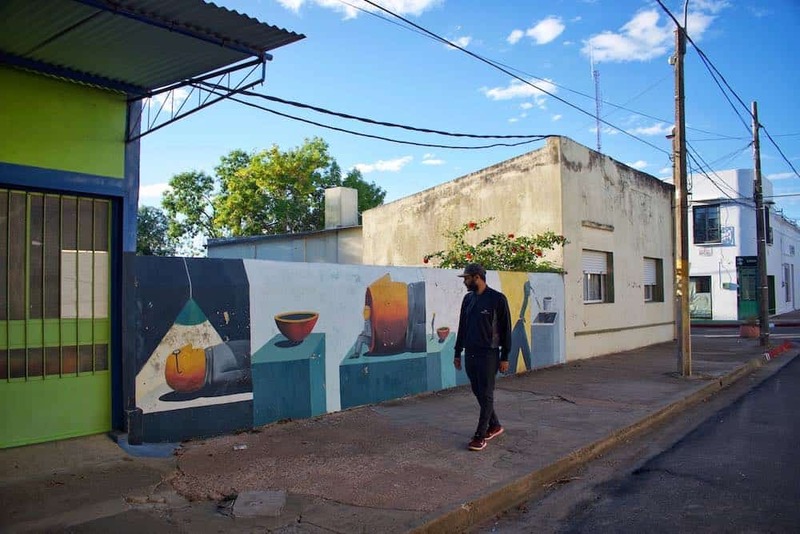 The thing that makes this beach town one of the best places to visit in Uruguay isn’t actually in Barra de Valizas. 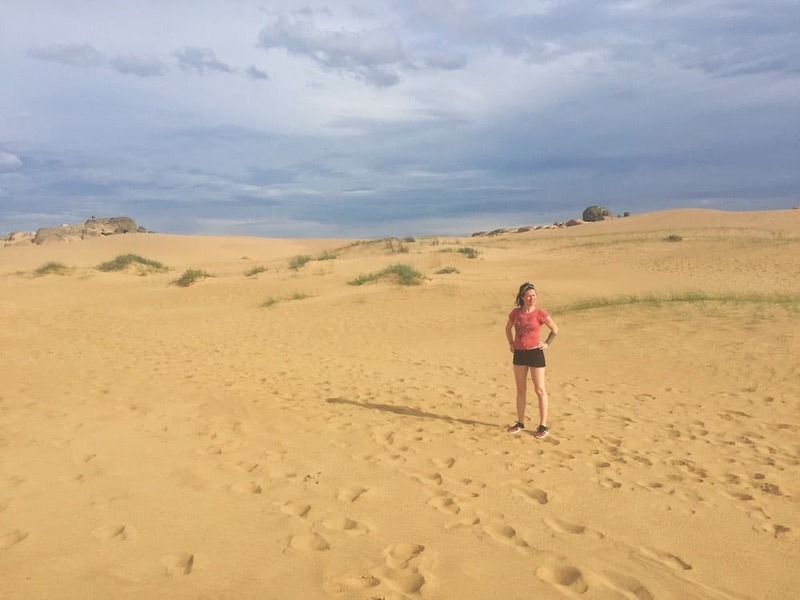 It’s a 20km round trip hike over the sand dunes to it’s wild neighbour Cabo Polonio. It’s take 2-3 hours each way so you have plenty of time to explore. You need to take a boat over a small river at the start, it’s $50 UYU (£1.10 GBP / £1.50 USD) return. The boats run 8am – 8pm. You can hire sandboards from the guys there too for $150 UYU (£3.30 GBP / $4.50 USD) for the day. Which is good idea for saving some energy getting down the huge dunes. Take plenty of water with you. One of the other best things to do in Barra de Valizas is just chill on the beach. The water is great for swimming. Aside from that you won’t need to move far as sellars walk up and down all day selling delicious treats. Try the churros filled with dulce de leche – you won’t regret it. During the evening there’s an artisanal market that sets up on the main street down to the beach. There’s jewellery and mate gourds and lots of cool souvenirs. Definitely worth a peak if you want to pick up some reminders to take home of your trip to Uruguay. A little walk away from the beach and main drag, this budget guest house has everything you need for a simple stay. A basic breakfast provided each morning and kitchen facilities are good for cooking for yourself. The rooms have mosquitos nets and the wifi is good. Situated right on the beach, there are more basic dorm rooms and private rooms equipped with a small kitchen and sea view balconies. The property has a garden, a terrace and BBQ facilities. A buffet breakfast is provided each morning and there is free parking available. This guesthouse gets all the little details just right. Fresh flowers on the tables and a cozy fire for cooler nights. Guest particularly love the private and enchanting garden. A continental breakfast is served each morning. There’s mosquito nets and the wifi works well. Despite becoming more popular over recent years and attracting more development to boot, this hippy beach town is still managing to retain it’s rough and ready vibe. We’ve been here twice in recent years so it definitely scores high on our best places to visit in Uruguay. 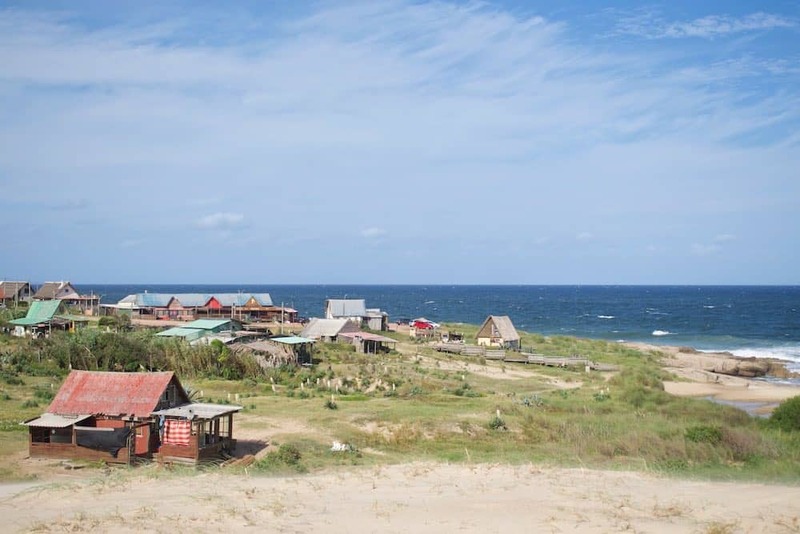 A stop by Punta del Diablo is all about getting in some serious beach time. Long, wide and wild, the hardest thing to do in this popular Uruguayan beach town is to pick your spot. But one next to cocktail bar for some the best Caipirinhas outside of Brazil is a good shout. If you’re feeling a little more adventurous you can head into Santa Teresa Park to explore. Although to be honest it’s more of a camping spot than actually hiking as most of it is along roads. There’s some pretty views and beaches and a fort to visit though. If you’re a keen surfer, Punta del Diablo is going to be right up your street. And I say keen, because the waves here are humongous. There’s some quieter bays for learner lessons but mainly expect some serious swells from Devil’s Point as the town is called in English. This seriously funky place to stay is a little walk away main street and beaches, however it is honestly one of our favourite accommodations we have ever stayed in. Off the grid tiny wooden houses with an outside communal cooking area. Expect to enter a serious chill zone. Close to the bus station and just a few hundred meters from the beach, this property is treat. Complete with a swimming pool, all rooms come with air conditioning, wifi and an ensuite bathroom. The breakfast gets great reviews and there is BBQ that you can use too. Jacuzzi with a sea view? Located right on the beach with private balconies, an a la carte breakfast can be served to your room at no extra cost. There’s also a beach bar with private use of sun umbrellas, chairs and beach towels. This place is pure lap of luxury. Heading up to the Brazilian border is one of Uruguay’s most interesting destinations. 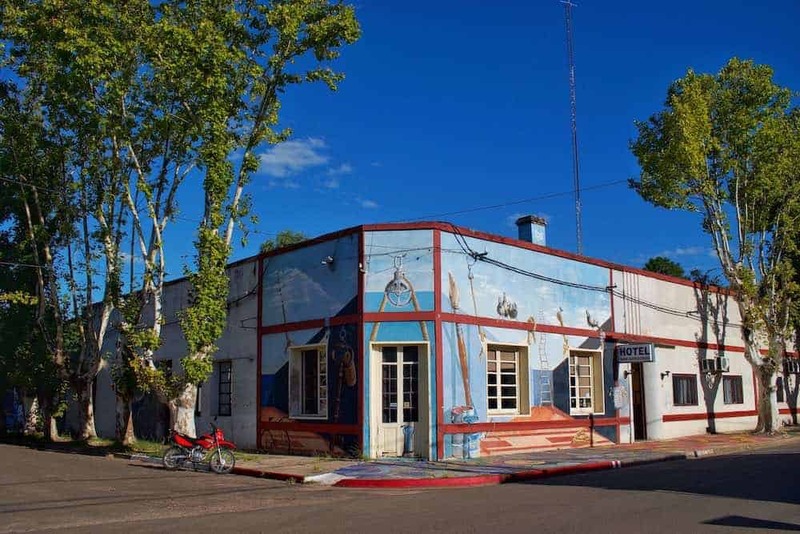 The intriguing if not rather unusual town of Chuy, lies half in Uruguay and half in Brazil. You literally walk across the street and you’re in another country. There’s not much going on here so we wouldn’t recommend staying overnight, in fact it seems a little sketchy after dark if we’re honest with you. But if you’re in the market for cheap electronics or need to top up on cheap food and drink, this is your place because it’s tax free. 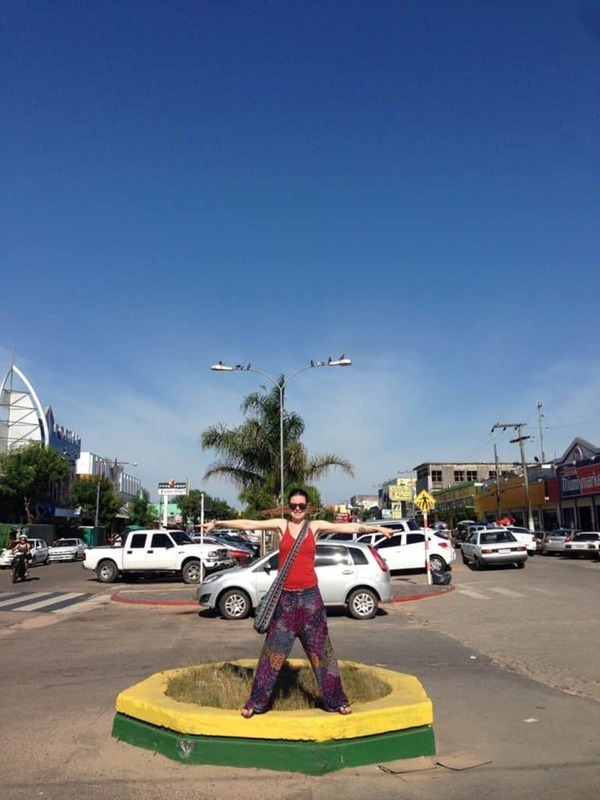 If you’re crossing into Brazil, it’s an easy border crossing. Just bear in mind that on Sundays the buses only run once, very early. 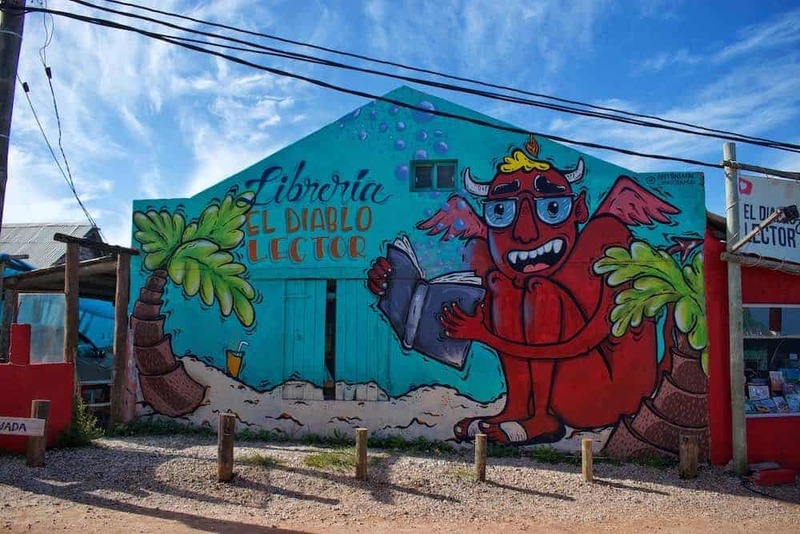 It’s best to pick a different day, because we missed it and ended having to book a last minute dodgy hotel where we’d have stayed in Punta del Diablo if we’d known. 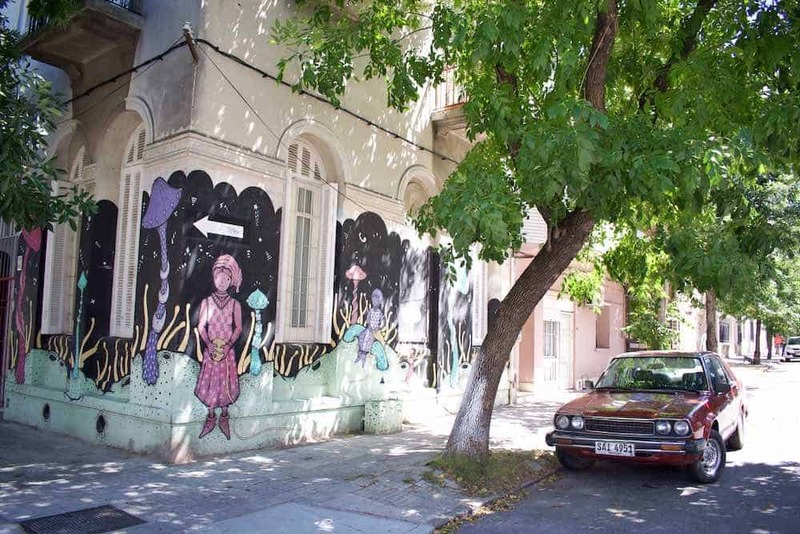 If you want to experience Uruguay away from the touristic beach areas, this small town is a little gem. It’s got a proper old town feel, that in some parts feel frozen in time. But the residents were so welcoming to us. Definitely one of our favourite places to visit in Uruguay. Situated on the edge of the massive Rincón del Bonete Lagoon, it’s a pretty place with surprisingly a lot of things to do compared with the size of it. If you drive there by car from the coast, there’s an added bit of excitement as you will need to drive onto the ferry crossing. This alone is worth coming to San Gregorio de Polanco for. From 1993 the town also became known as the Open Museum of Visual Arts in Latin America. With well over a hundred colorful murals and unusual sculptures adorning it’s streets. Even the pavements are painted in parts. You’ll be able to grab a map from wherever you are staying and walk around self guided. There’s a few different routes. It’s a really great way to get to know the town. And if you get hungry while exploring around grab yourself a torta frita from the main square. The Rincón del Bonete Lagoon is so huge that standing on its shores, it actually just looks like the sea. The beaches are really something and the water is clear, great for swimming or kayaking. Heading out fishing on the lagoon is also a popular activity if that’s your thing. 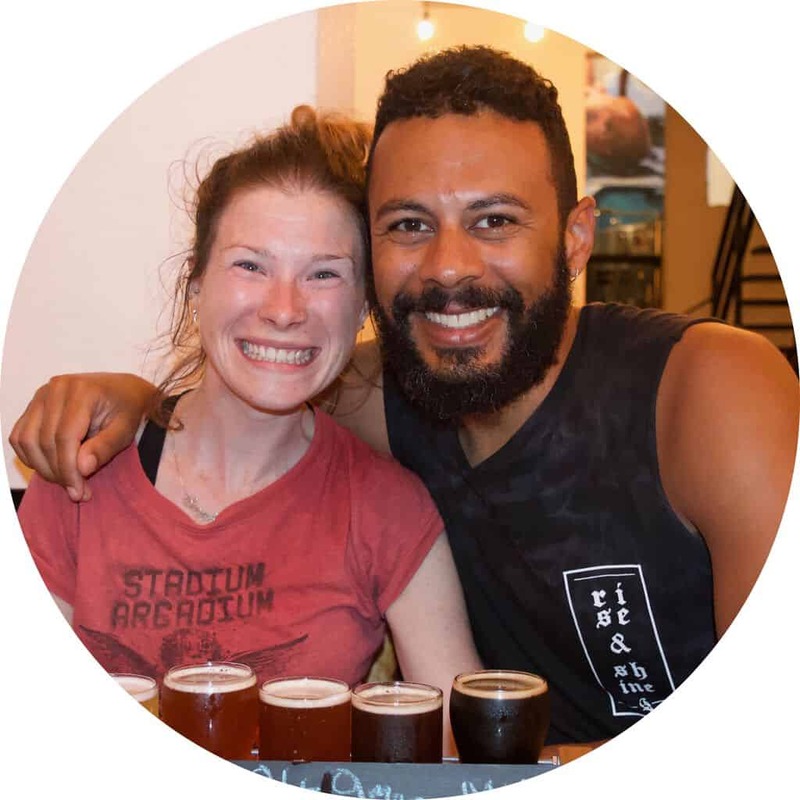 After a day exploring the street art and the lagoon, we’d recommend settling down for sunset at this fabulous little spot – Cerveceria el Peregrino. They have local artisanal beers and make some cracking pizzas. This is the address – Dr. Sergio Arbiza, 45200. A old ranch, this place has some serious character to it. Outside it’s facade is home to one of the towns murals, inside there’s a charming red-tiled patio decorated with potted plants. 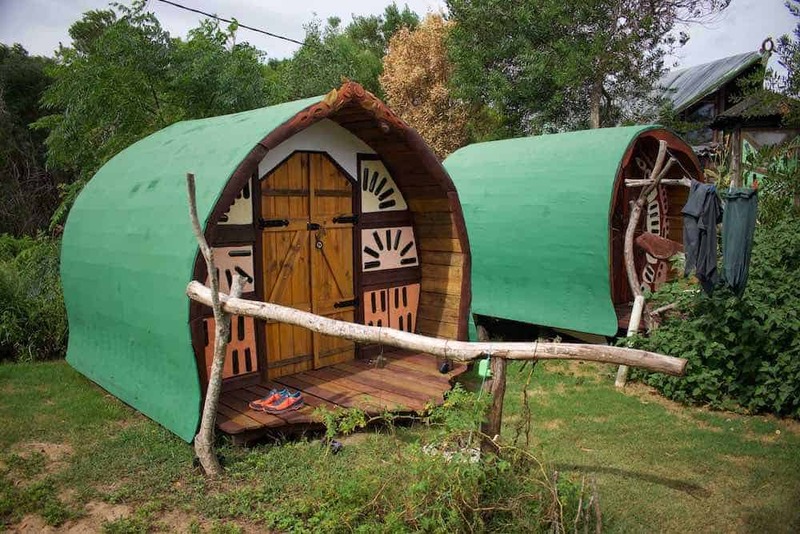 The rooms have rustic wood furnishings and there is a well equipped common kitchen to use. Complete with outdoor pool and Indonesian décor, air conditioned rooms with spa baths are available. Wifi is available throughout, there’s a 24 hour reception and a continental breakfast is provided. There’s onsite parking and free bikes available for your use. 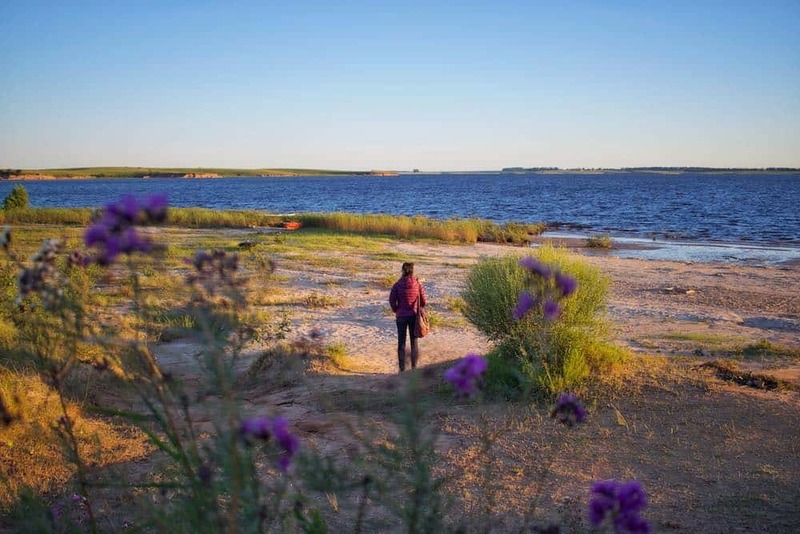 A tourist town that has sprung up around Uruguay’s most popular thermal natural springs, there’s only really one reason to come to Termas del Daymán but it’s a good one. We went to the public ones but there are also private ones that are part of upmarket spas and hotels. The municipal thermal springs are open from 8am until 10.30pm daily and the entrance fee is $180 UYU (£4 GBP / $5.40 USD). Once you have your wristband you can come and go as you please. It does get really busy and there are lots of families. But we once in the water, you can’t fail to relax. We found a quieter corner of one of the pool and took a book, it was great. Food is average but reasonably priced. Be sure to take a padlock with you to use the lockers. The facilities are spotless and well managed. An unusual but very comfortable set up. This is where we stayed on our Uruguay road trip stop off. The containers accommodate up to 4 people and there’s plenty of space. The kitchen is small but well equipped and there’s a BBQ outside. It’s air conditioned but there’s no wifi. Surrounded by orange trees, spacious air conditioned rooms come with minibars and furnished patio areas. The stars of the show are the bathrooms though, which include spa baths with thermal water. There’s a deluxe breakfast and indoor and outdoor thermal pools. 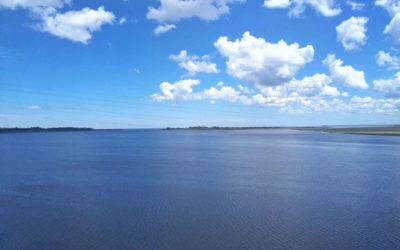 A busy city dating back to 1756, Salto borders with the Uruguay River and Argentina. 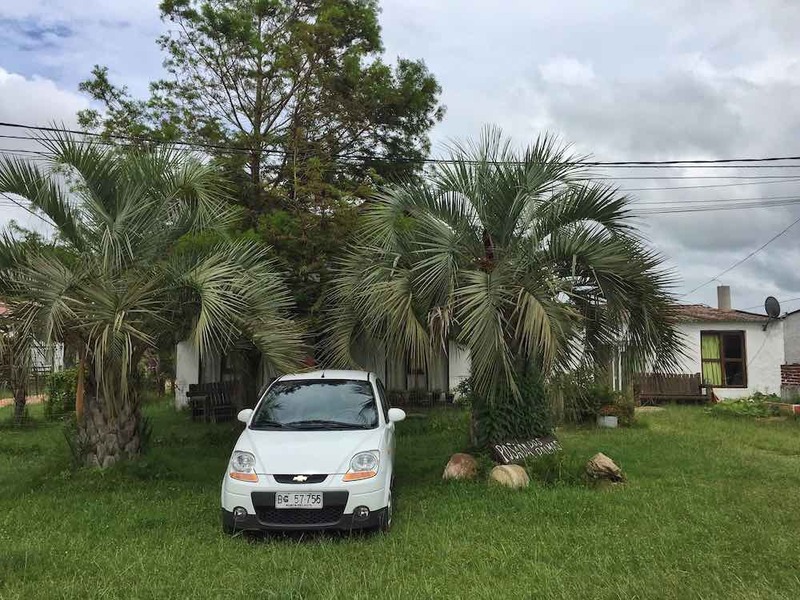 It’s only a few miles away from Termas del Daymán and so staying here is another option. There’s an abundance of beautiful stunning architecture and pretty squares. We wandered around for a few hours, taking a break from the thermal springs and it was well worth it. If you do opt to stay here and don’t have a car there are regular local buses that run between Salto and the thermal springs. 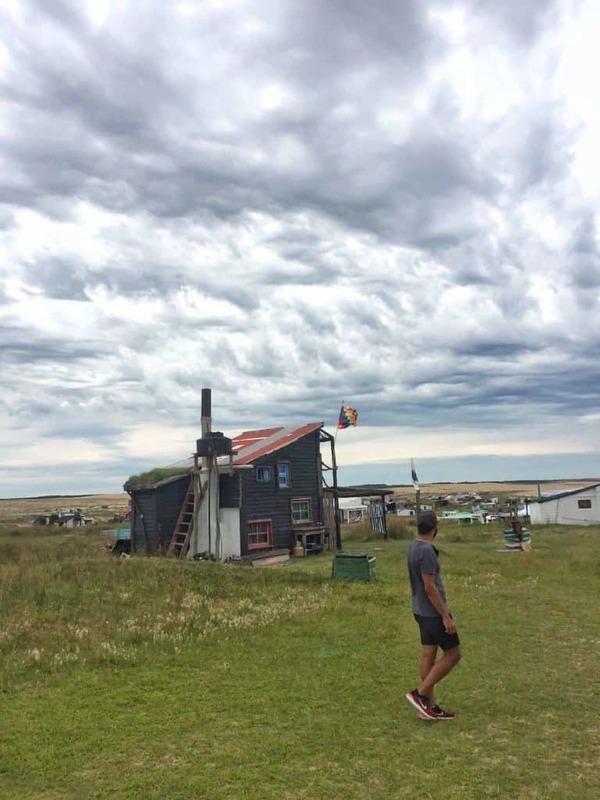 If you’d like to experience staying with a local Uruguayan family, this will be right up your street. It’s nothing fancy, but it’s homely and the hosts have great reviews. You can use the kitchen if you wish to cook for yourself. Close to the main square and just 10 minutes from the bus station, this hotel has a great location. There’s wifi, private parking and a daily continental breakfast is provided. 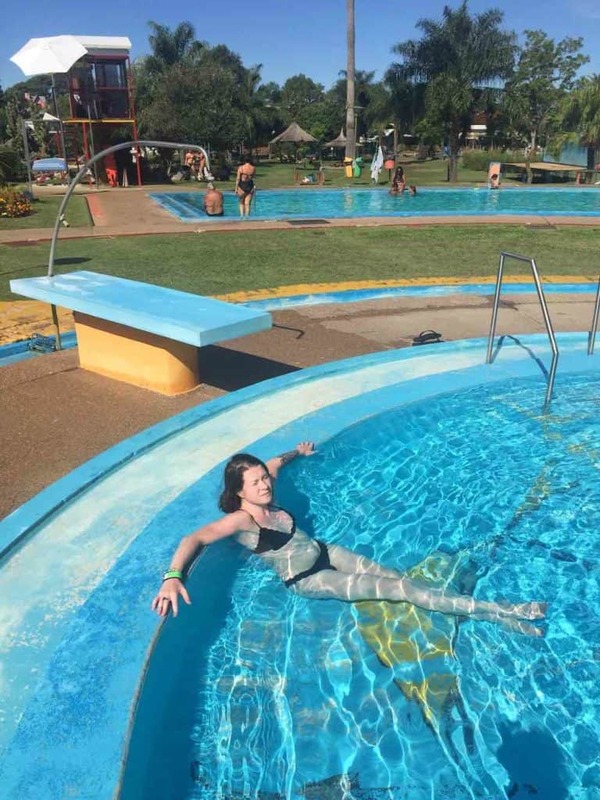 Guests have free access to nearby Salto Grande Water Park. Uruguay’s equivalent of Tuscany in French, this quaint and rustic part of Uruguay is surrounded by vineyards. The preferred mode of transport is horseback or bicycle. Great for taking it down a notch or two while enjoying a glass of wine, or five. 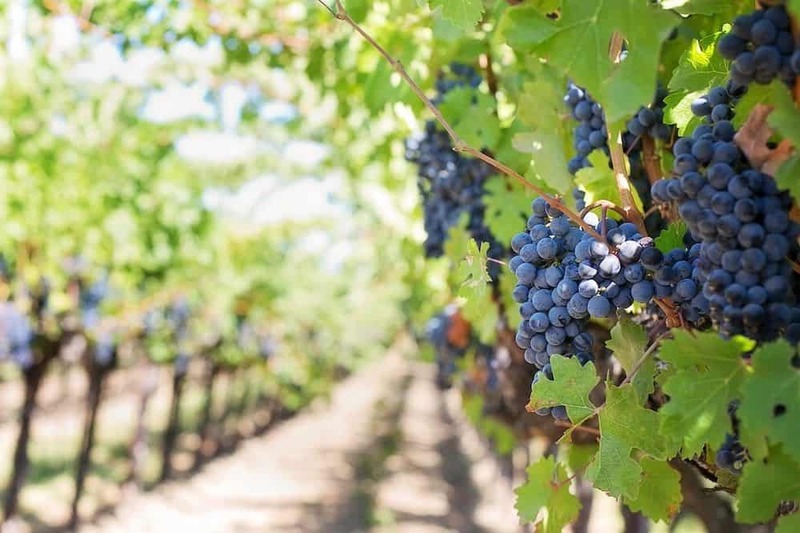 The main producer of increasingly worldwide popular grape variety, Tannat, personally it’s not our favourite. But the wineries produce plenty of other wines. It’s best to email the wineries first to book in your tasting session, then simply hire a bike and make your way around. Or you can opt for a guided tour and have it all arranged for you. Just bear in mind that if you have hired a car, Uruguay has a zero tolerance when it comes to drinking and driving. 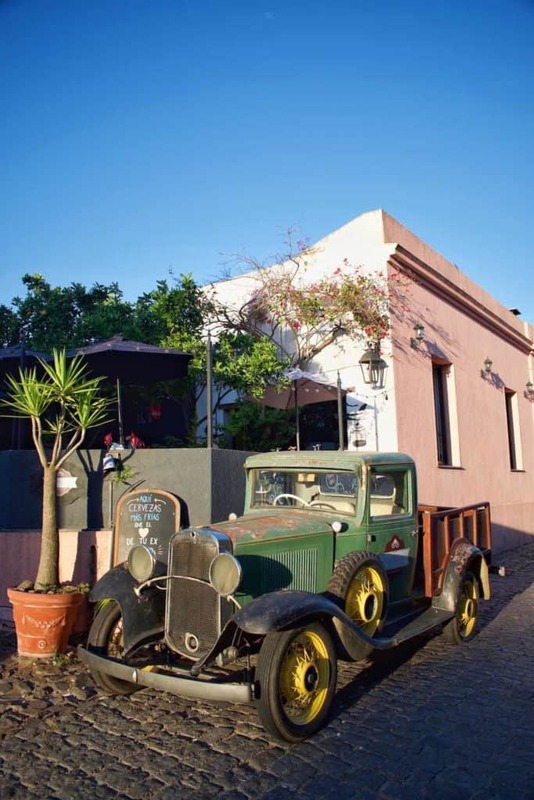 You can also take day trip wine tasting tours to Carmelo from nearby Colonia del Sacramento. Another fabulous way of exploring Carmelo is by horseback. 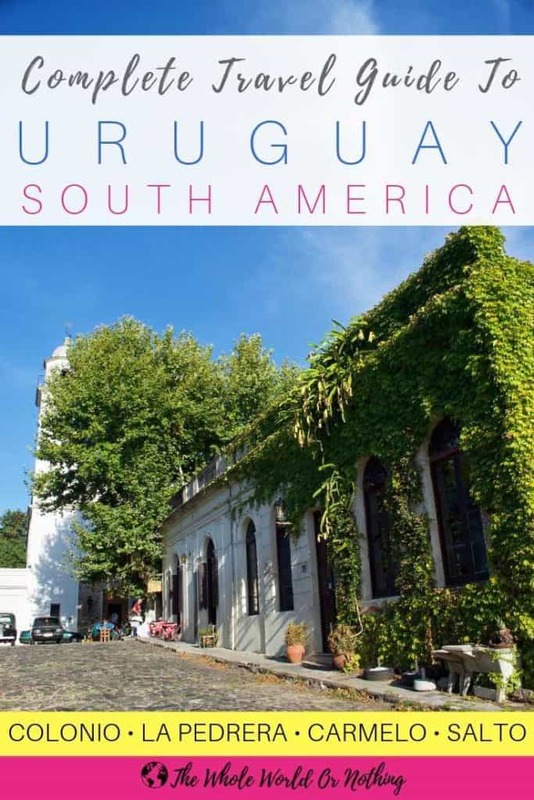 There is so much greenery and nature surrounding this installment on our list of the best places to visit in Uruguay. Plus you’ll feel like you’ve stepped back in time pretending to be gaucho for the day. A tastefully refurbished antique house with lovely patio and outdoor barbecue facilities. There are lots of restaurants nearby or you can prepare your own meals in the well-equipped common kitchen. Air conditioned rooms and a full continental breakfast come as standard. If you fancy treating yourself, a stay on one of Carmelo’s wineries is highly recommended. And Narbona is one of the best. Offering an outdoor pool, a la carte restaurant and bikes for your use, you are able to roam around the vineyards at your leisure. The last stop on our mission to seek out the best places to visit in Uruguay and it was a belter. Seriously this place is so pretty. 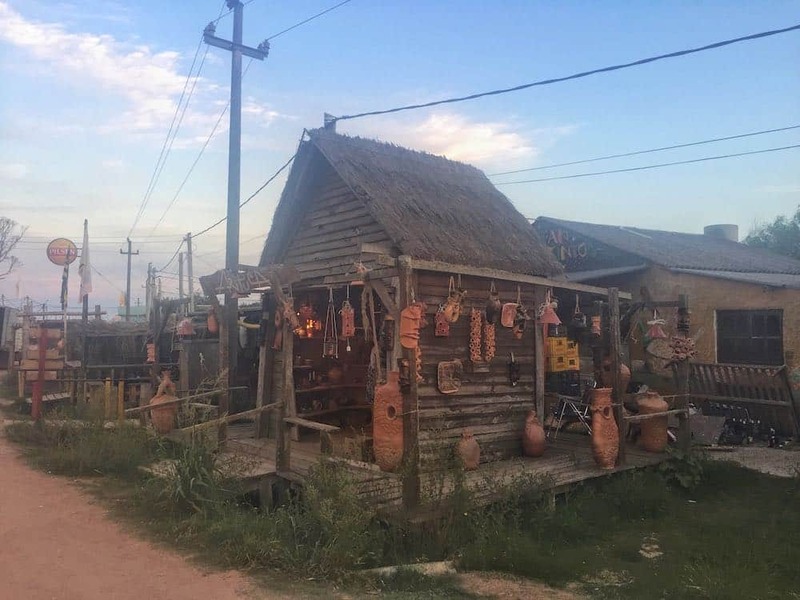 It was listed as a UNESCO World Culture Heritage Site in 1995 and has a completely different feel to it compared to other Uruguay towns we visited. Initially a Portuguese settlement built around the naturally deep port, it was a well fought over access point to the continent. And switched between Spanish and Portuguese rule a few times before Uruguay won its independence. Colonia is a popular day trip from Buenos Aires, with the ferry crossing taking just over an hour. But it’s also a lovely spot to spend a couple of days, wandering the streets, taking in the atmosphere and relaxing on the beach. The prettiest part of Colonia del Sacramento. 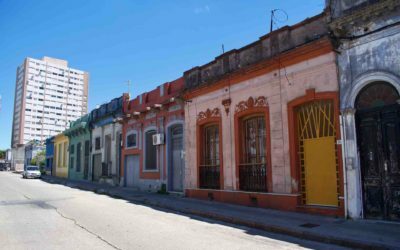 The Historic Centre, or Barrio Historico in Spanish, is all about cobbled streets, crumbling architecture and vintage cars. Don’t miss the Street of Sighs (Calle De Los Suspiros), the City Gate (Portón de Campo) and the lighthouse (Faro). You can climb up to the top for a small fee of $30 UYU (£0.70 GBP / $0.90 USD). 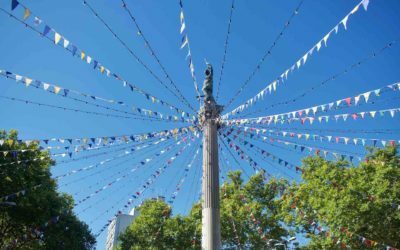 If you have a little more time and fancy exploring further afield, head up along the colourfully decorated Rambla. You can rent some bikes, take the tourist bus or simply walk. You’ll find San Benito Chapel (Capilla San Benito) and the old collapsing Bull Ring (Plaza de Torres) up that way. As well as lots of DIY BBQ spots along the beach if you fancy a cook up. 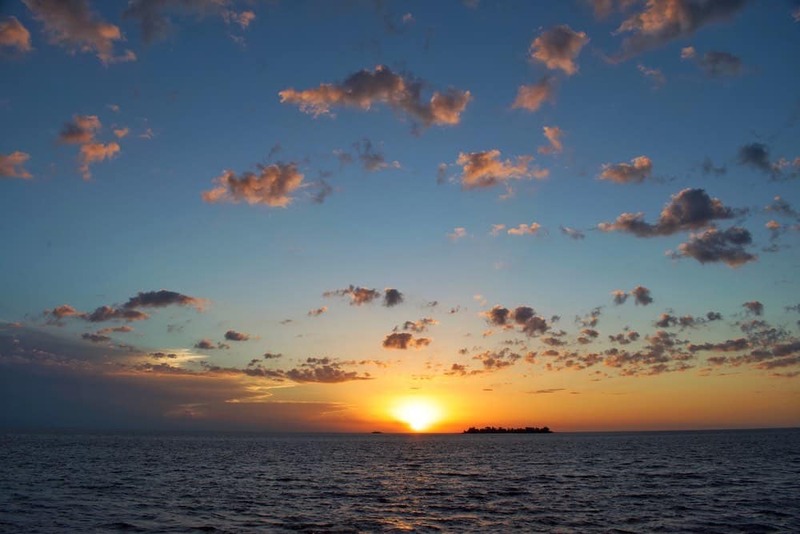 The sunsets over Colonia del Sacramento harbour are downright spectacular, simply find yourself a bench or spot on the wall and watch the show. And if you fancy a beer after head over to Barbot for some delicious craft beer. Bonus points if you’re in Colonia on Thursday because it’s half price beers 8pm – 10pm. Right next to the old town and a short walk from the beach, this hostel gas an ideal location. The colorful decor matches the vibrant and welcoming atmosphere. We really enjoyed our stay here. There’s daily breakfast, communal BBQs and often live musicians playing. Set inside an old colonial-style building, this hotel features a charming central courtyard with marble chequered floors. Elegantly rooms have air-conditioning and private bathrooms with baths. A buffet breakfast of croissants, fresh juices and regional jams is served daily. Situated in the old town, this hotel has one of the best-rated locations in Colonia with guests treated to either river or garden views. There’s is an à la carte restaurant, excellent breakfasts served daily and each room is tastefully decorated in a modern farmhouse style. If you haven’t left on your travels yet, or even if you have, don’t forget your travel insurance. As we already said, Uruguay is a very safe country. But accidents happen all the time and the last thing you want is to be stuck abroad without good insurance. One thing to be aware outside of Montevideo, is that not many people speak English. Unless you are staying at a hotel or hostel with international staff, it’s rare. And as for taxi drivers and market stall holders, basically forget it.